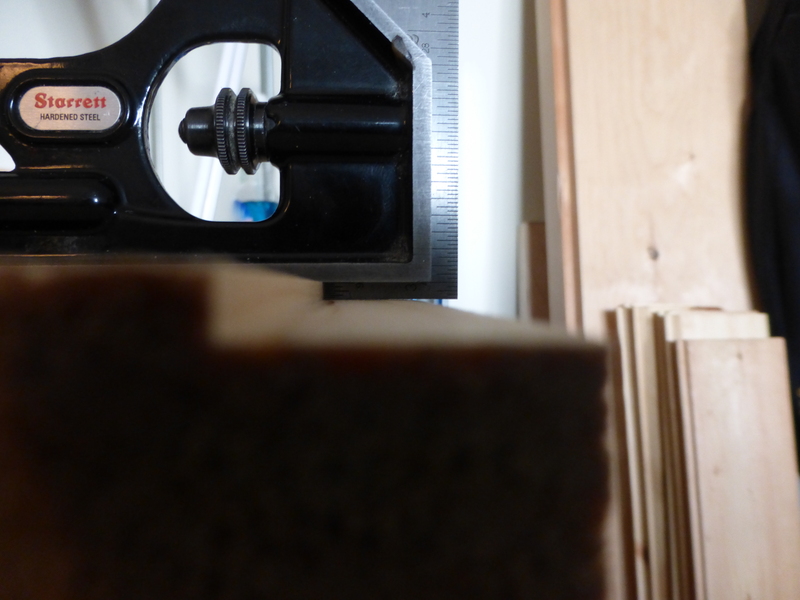 Attaching the fence to the right-hand rebate plane wasn’t nearly as difficult as expected. 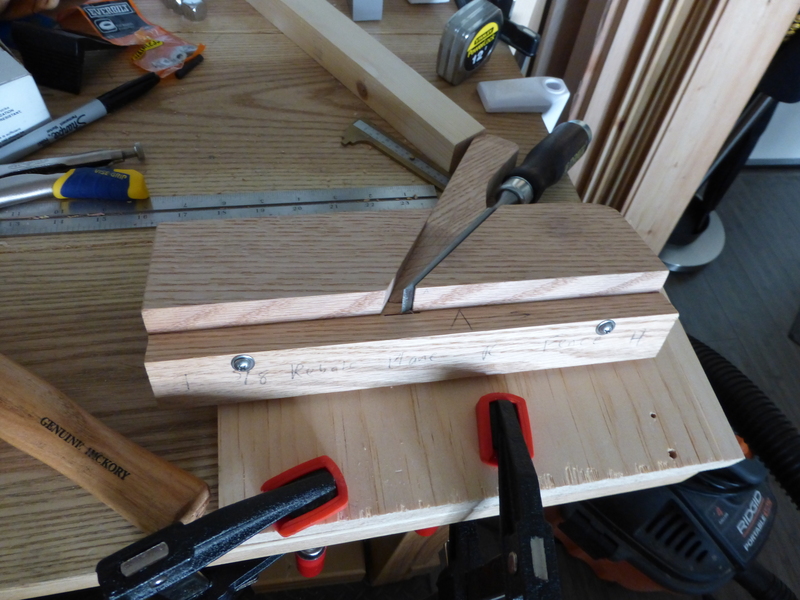 I approached it like I would a drawbore, by first drilling the pilot holes in the fence, then using the same brad-point bit to transfer those holes to the body of the plane. After that, everything came together nicely. I did drill all the way through the backer board into the dining table, but that kind of thing happens once in a while. The above photo shows the fixed fence at max extension (5/8 inch). I am yet to elongate those holes to permit the fence to adjust to take a narrower cut, but that is just a question of marking and chopping out two slots in the fence. After the fence is fitted, I’ll recess the scoring spur and the whole thing will be ready for a coat or two of Tung Oil. I did take some quick test cuts with the fixed fence and was quite pleased. I’m assuming the slight slope at the edge of the rabbet is due to my unfamiliarity with proper fillister plane technique. I hope to start work on the left-hand plane this weekend.